First render of the Huawei’s P10 smartphone surfaced last year. Now renders of the P10 Plus, the top-end version of the smartphone has surfaced in China. This reveals a 5.5-inch Quad HD curved glass screen and possibly a iris scanner along with ring flash on the back. The fingerprint sensor is present on the back, still there is a home button below the display. 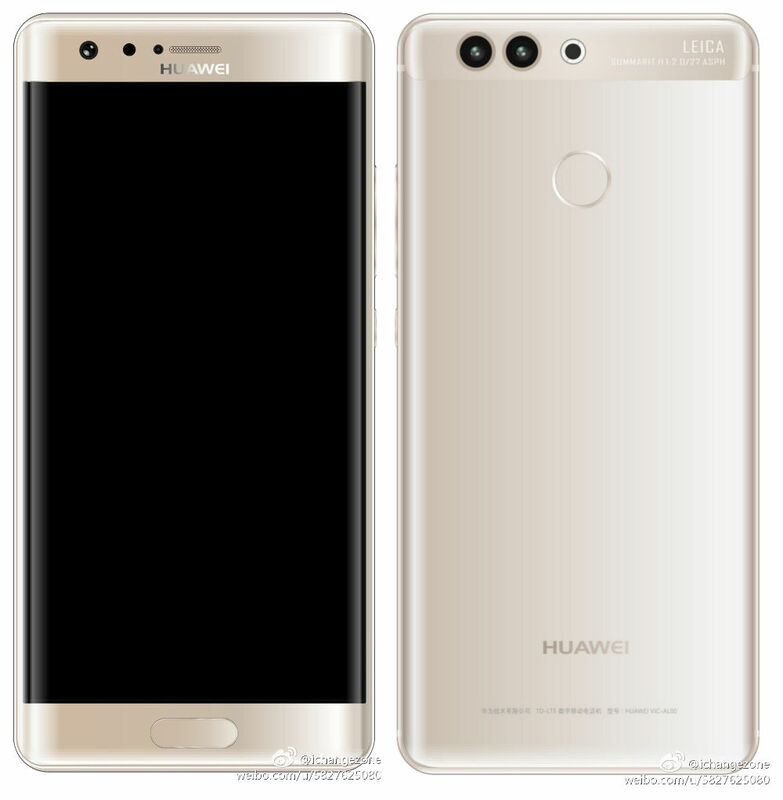 The Huawei P10 is said to come without a curved screen, iris scanner and ring flash and the fingerprint sensor is embedded into the home button. Both the phones are expected to come with dual cameras with LEICA lenses on the back but the aperture will be f/2.0 instead of f/2.2 in the Mate 9 Pro. The Huawei P10 and P10 Plus smartphones are expected to be announced at the MWC 2017 event on February 26th. The P10 is said to come in Black, Champagne Gold, Ceramic White and new Green and Purple colors and is rumored to start at $699 (Rs. 47,290 approx. ).